Routine Eye Examinations are important, Regardless of your age or physical health. Eye examinations check more than just your standard of vision. During your thirty minute appointment the Optometrist will also asses the internal and external health of your eyes to identify any potential sight threatening conditions. Why contact lenses?Flexibility, freedom and complete new look. Along with spectacles, contact lenses offer a fantastic way to correct your visual defects. Are you an avid sports player? Maybe your just after a different look, away from wearing glasses? 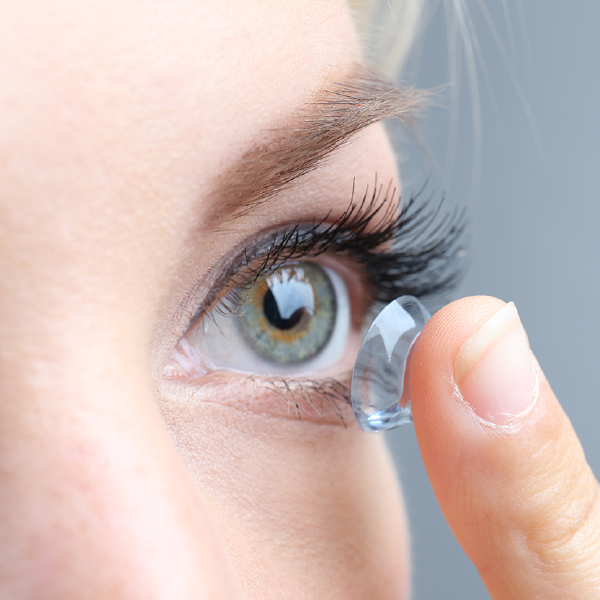 Contact lenses may be the perfect solution. Don't throw away your old glasses. Have you got a pair of glasses you love? Nothing else fits you just as well as your old faithfuls? Bring them along to your examination, one of our Dispensing Opticians will asses the durability of the frame to ensure its suitability for re-glazing. NHS patients, welcome. Some patients are covered under the NHS for their eye examinations and spectacle costs. We have an extensive range of free glasses available to all who are entitled to an NHS funded optical voucher. From adjustments to repairs, we have you covered. We know accidents happen and things can break. Sometimes your glasses may just feel as if they need a little tweak or two to feel comfortable.Our staff are always on hand to help. Just pop in or give us a call and we will be happy to assist. Most repairs can be done in store on the day. Some more extensive breakages however can take a couple of days. You'll always see a fully qualified Dispensing Optician. We believe that quality spectacles can only be fitted to perfection by professionally qualified staff. All registered Dispensing Opticians have undergone a minimum of three years academic and practical training in order to achieve qualified FBDO status, their specialist skills are what we rely on to ensure your satisfaction.